You are going to Watch Naruto Shippuden Episode 291 English subbed online free episodes with HQ / high quality. Stream Anime Naruto Shippuden Episode 2 Online English sub Power – Episode 2. 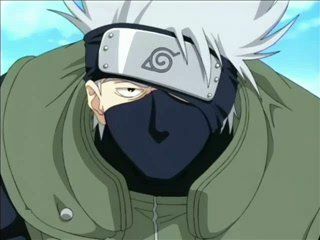 Team Kakashi has their hands with Kabuto’s Hidan clone and the reanimated Hayate Gekou as Naruto gets swallowed by a giant snake, but uses his Shadow Clones to escape while ingesting some of the snakes that were present in the pond . When Naruto surfaced, Kabuto retreats and leaves with his servants, using the reanimated Deidara as diversion, after revealing a village guard corpse in the snake’s mouth. Meanwhile, Dokku takes care of the orphans, while Miina, due to trauma, became mute. After the attack, Naruto and Sakura join up with Shiseru, Yamato and Sai going with the rest of the guards. While Yamato and Sai investigate why Kabuto destroyed the village, Sakura and Naruto follow Shiseru to Dokku’s house. When Dokku and the orphans see them and seeing Naruto wearing the same forehead protector as the reincarnated shinobi, Leo kicks Naruto and they run until they reach a broken bridge.